Monarch Brands features the best in wholesale wiping rags and wholesale cleaning rags. Browse our selection of terry, woven, & microfiber wholesale cleaning rags today. We wholesale towels and wipers by the bale, but have retail-ready lines available for those who have walk-in business or have smaller use-requirements. Each item is sold by the carton, many are available in different piece-counts (10 - 100). Each wiper pack is designed to appeal to end users and feature use suggestions, attributes, benefits, UPC numbers for check out, and item numbers for easy reordering. Don't settle for plain packaging tied with string when you can have professional looking products that point-of-sale impulse buys. Retail Packed Wipers - Retail packaging, wholesale pricing! These easy to handle bags offer attractive, point of sale packaging and are priced to give your customers the best possible value. Retail Packed Shop Towels - These 100% cotton shop towels are absorbent and easily laundered. The towels measure 13” x 14”. Retail Packed Blue Huck - These 100% cotton multipurpose towels are low-lint and easily laundered. The towels measure 14” x 24”. Retail Packed Microfiber Rag Bag - These lint-free microfiber rags are highly absorbent and launderable. 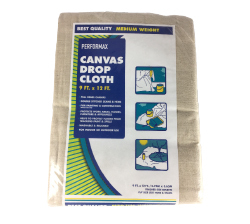 Drop Cloths - Our canvas drop cloths are made with full panels using heavy duck, drill, twill and/or similar canvas material. Shop Towel 10 Pack - These easy to handle bags offer attractive, point of sale packaging and are priced to give your customers the best possible value.